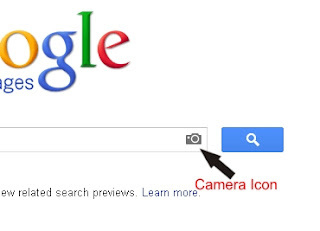 Often, we come across images on the web that we'd like to share with like-minded people. However, it makes sense to check if the image is real before sharing so one doesn't end up with egg on the face. If you aren't very good at spotting edited images (also called photoshopped images), Google Images is a good way to find similar images and see if the image you are about to share has been doctored. 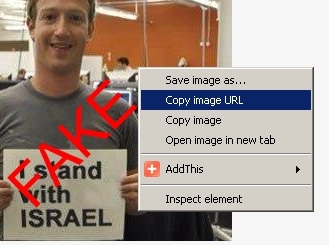 I suspected this picture was fake so I decided to do a little investigating. Then I headed over to Google Images (click the link and you'll go there). 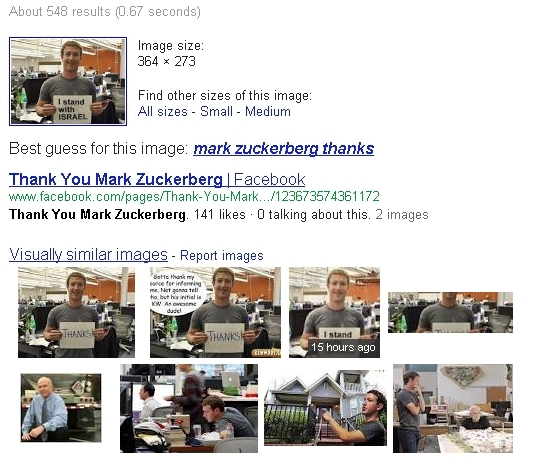 Looking at the "Visually similar images", I clicked the first one on the left and I found that the image had been lifted from Facebook's thank-you to its users upon crossing the 500 million user mark. 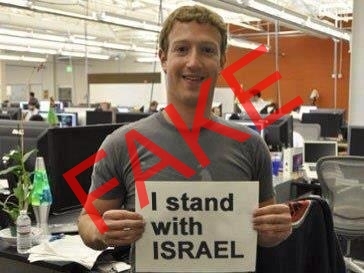 The pic on the social network was therefore fake, since Facebook's thank-you was posted in 2010. A little bit of searching saved me a lot of embarrassment.